Crowdmapping is the aggregation of crowd-generated inputs such as text messages and social media feeds with geographic data to provide real-time, interactive information on events such as wars, humanitarian crises, crime, elections, or natural disasters (the results are sometimes referred to as crisis maps). If properly implemented, crowdmapping can bring a level of transparency to fast-moving events that are difficult for traditional media to adequately cover in real-time, or to longer-term trends that may be difficult to identify through the reporting of individual events. Anyone can create crowdmaps using tools such as Crowdmap.com, which runs on the open source Ushahidi platform. Although the benefits depend on effective organization, public awareness and accurate information (no small feat to coordinate all three), the use of interactive, real-time mapping to track fires, floods, crime, political violence, the spread of disease, or instances of government corruption are just a few of the ways crowdmapping promises to enhance knowledge and transparency about a range of public health and safety issues. For public security organizations such as police forces, crowdmapping could be used to build stronger connections to the communities they serve. If an effective, widely known crowdmap had existed for London during the recent rioting, perhaps more time could have been spent coordinating an effective police response and less time wasted following in the footsteps of Hosni Mubarak by trying to figure out how to shut down Twitter. The deployment of crisis mapping technology is on its way to becoming a standard tool to collect and track ground truth from crisis zones, but very little work has been done to evaluate and mitigate the threat posed by adversaries with offensive infosec capabilities. Aside from questions of building effective public awareness, the scope of usage, and the reliability of user information, the flip side of the optimistic public service vision of crowdmapping is that of a repressive regime using the technology to more effectively track and quash dissent, or adversarial groups engaging in disinformation campaigns. The more that individuals learn how to effectively self-organize using social media tools, the more authoritarian governments or adversarial groups will learn about how to effectively use these same tools for their own ends. 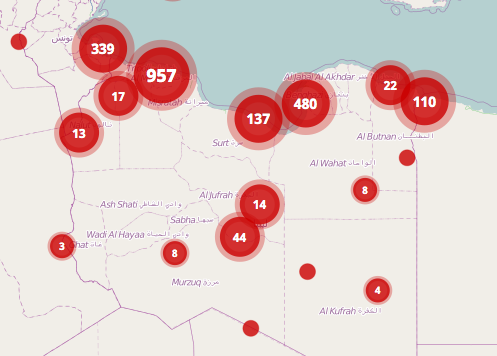 Crowdmapping was used in the recent Egyptian revolution, and this blog briefly explores the exchange between Egyptian activists using Ushahidi and the government authorities who tried to disrupt them. In this session we’ll setup, operate, attack and defend an online crisis map. Bring your laptop and toolsets because you will have the opportunity to play the bad actor (a technical member of the secret police or terrorist organization) as well as the defender (the response agency, citizen on the ground, and sysadmin trying to keep the server online). The experience will bring together everything we know and love and hate about defending online systems including buggy code, naive users, and security vs. usability tradeoffs and do so in a situation where people are dying and the adversary controls the network. We’ll also introduce some not-so-typical concepts like building trust on the fly, crowdsourced verification, and maintaining situational awareness from halfway around the globe. My introduction to crowdmapping came through researching Kenya’s tech scene, and talking with Ushahidi team members Erik Hersman (Director of Operations & Strategy) and Heather Leson (Director of Community Engagement) at a recent community development meeting at iHub Nairobi. I can tell you from personal experience, they’re an exceptionally talented, energetic and helpful group of people, who are serious about the expanding the reach and utility of their platform. Expect interesting things from them.